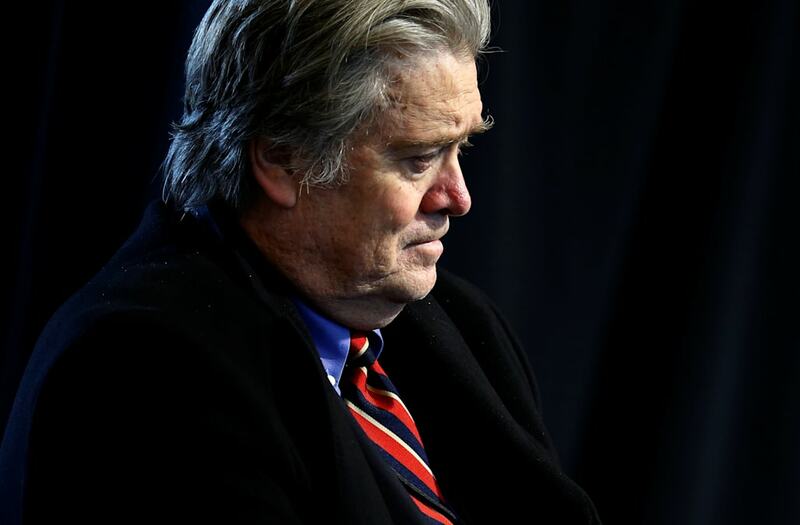 With President Trump removing Steve Bannon from the National Security Council, a new report suggests the move may stem in part from the president's irritation over the level of credit Bannon gets in regard to the Trump administration's decisions. Sources told the New York Times that Trump was "not pleased" that people were referring to the strategist as "President Bannon." "Those #PresidentBannon hashtags worked, y'all," "It really shouldn't be that easy to troll the president" and "Wow. If #PresidentBannon can get impeached that quickly, imagine what might happen to Trump." Of course, other factors were likely at play in Trump's decision. The Times pointed to the failure of the first immigration order, as well as the tension between Bannon and national economics adviser Gary Cohn.